The ultimate Costa Rican rainforest experience. Travel deep into the heart of Corcovado National Park and experience the “most biologically intense place on earth’, spending the morning in the Sirena station and around 1:00pm take the boat back to San Pedrillo station and camp at there, where you will be alone with your guide and park rangers. Monkeys, coatis, lizards, sloths – there are just a few of the inhabitants you’ll discover as you hike through lush primary and secondary rainforest. An early morning hike to spot some 350 species of tropical birds and a boat ride through dolphin and whale filled waters completes this nature adventurers’ paradise. Want more information on this tour? Transportation to and from Drake Bay. Rustic lodging in Corcovado National Park in tent on San Pedrillo Station. Chance to view four types of monkeys, coatis, sloths, anteaters, scarlet macaws, tanagers and the largest land mammal the tapir. Best experience at the park, be the at the best hours to see animals, early morning and afternoon. Hike true the oldest forest of the Corcovado National Park. Since this station is less accessible, there is greater opportunity to spot rarer rainforest wildlife (including monkeys, agoutis, coatis, peccaries, and if we’re lucky, maybe even a wildcat!) Your Corcovado Expeditions naturalist guide will explain the intricate ecosystem of the rainforest during your first full day hike, with plenty of time for you capture the perfect photo or simply sit in awe of the abundant wildlife. Experience our guided night tour as the rainforest comes alive at with a host of nocturnal wildlife. The guided morning tour introduces you to some of the most magnificent birds on the planet – tanagers, kingfishers, trogons, toucans and scarlet macaws. The afternoon boat voyage back to your lodge is an opportunity to spot dolphins, sea turtles, or whales. 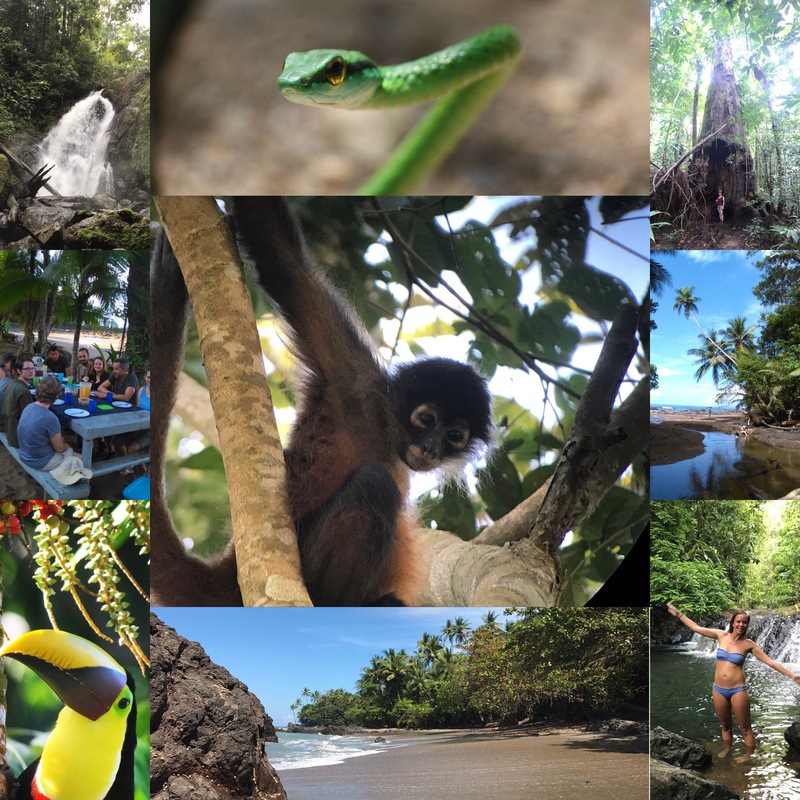 Would you like more time in Corcovado National Park? Let Corcovado Expeditions design a custom tour for you.